Only hours after naming the Republic of Ireland squad for the upcoming games against Scotland and USA. 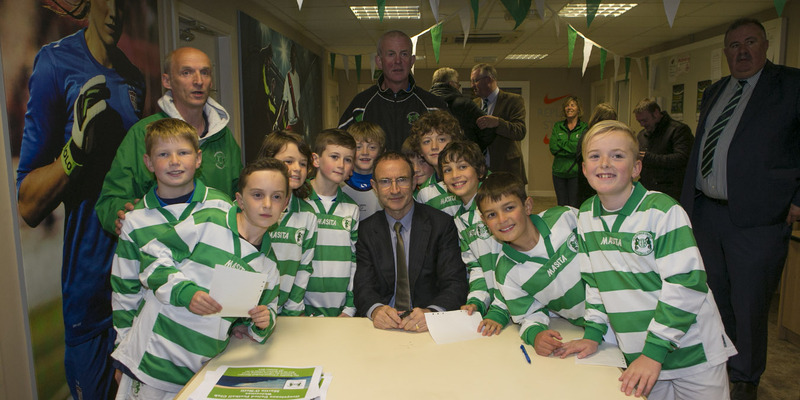 Irish football Manager Martin O’Neill made a whistle stop visit to Greystones AFC to open the redeveloped all-weather arena. The former Nottingham Forest man was popular with all who attended and posed for pictures even a few selfies and signed autographs. 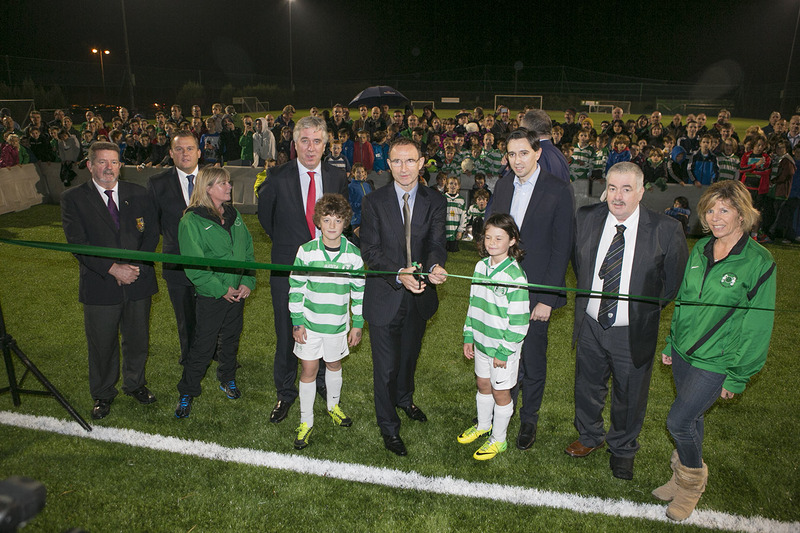 O’Neill said of the facilities in Greystones “It’s a million miles away from the days of the mucky pitches of the 1970’s, when Brian Clough’s Nottingham Forest lifted two European cups” He then called for a three a-side between members of the U-12 team, Jane Merryn showed it’s not just a boys game as she scored a hat-trick in the first to five game.